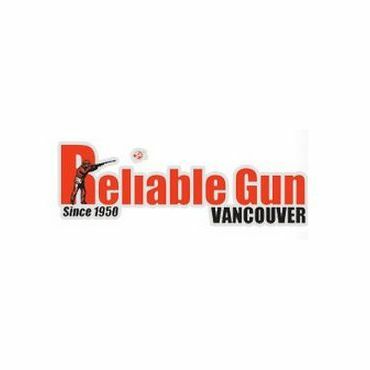 Chances are if any of your older relatives hunted back in the ‘good old days’ they probably dealt with “Reliable Gun and Tackle”; Vancouver’s oldest family owned hunting supply store. Back in 1950, Jim Mathieson opened Reliable Gun and Tackle selling everything from guns to outboard motors. Jim would do anything to support the outdoor enthusiast. His son Dave joined his dad full time in 1959. Together they were committed to providing quality products and exceptional service. These efforts helped build long and trusting relationships. In 1992 Shane Mathieson, son of Dave, joined his father in the venture. Since then Shane has become an experienced gunsmith. His precise craftsmanship has delighted many of B.C.’s finest gun collectors. In 2003 John, Shane’s younger brother, joined the family at the store. John has been very eager at learning the ropes. In 2004 Paul Mitchell joined the Reliable team. Occasionally you may even see Maureen in the shop keeping her boys in line. As a long time customer it’s nice to see the store doing well. It stands for more than just a small family business. To me it’s “Hunting Heritage” at its finest. My grandpa and father both shopped at Reliable and I shop there, knowing that I will get the best service possible. I want to see the photos of those big bucks. I want to buy my hunting products from a store that has the knowledge and expertise. You can ask them where a great spot for grouse is and where the big bucks hide! I want to purchase my supplies, talk about the ‘big trip’, get pumped up and head out! The store is rich with history. Stop in. You too will be happy it’s still operating with the same commitment that Jim Mathieson envisioned back in 1950. New additions to Team Reliable are Josh, Herman, Colin and Randy. Herman is fluent in Cantonese and Mandarin. They have a good selection, good customer service and prices. They also have great sales from time to time. Xmas sales are great. 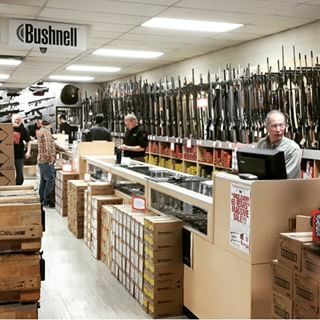 Reliable Gun offers an impressive selection of in stock firearms and amunition. The friendly, knowledgeable staff is eager to be helpful. I go out of my way to shop at Reliable.